November 6, 2014, MILPITAS, CA – noHold, Inc. is pleased to formally announce Cisco Small Business’ first mobile-friendly Virtual Customer Assistant. This mobile Virtual Assistant was launched in December of 2013 and has received positive feedback ever since. Cisco Small Business (SB) is an extension of Cisco, providing small businesses with trusted Cisco products and services. Cisco has been a longtime customer of noHold, circa 2006, working collaboratively to bring innovation and smarter self-service together. noHold provides Cisco SB with the self-service support option appropriately named ‘Guide Me.’ Since its implementation, Guide Me has produced great results for Cisco SB. 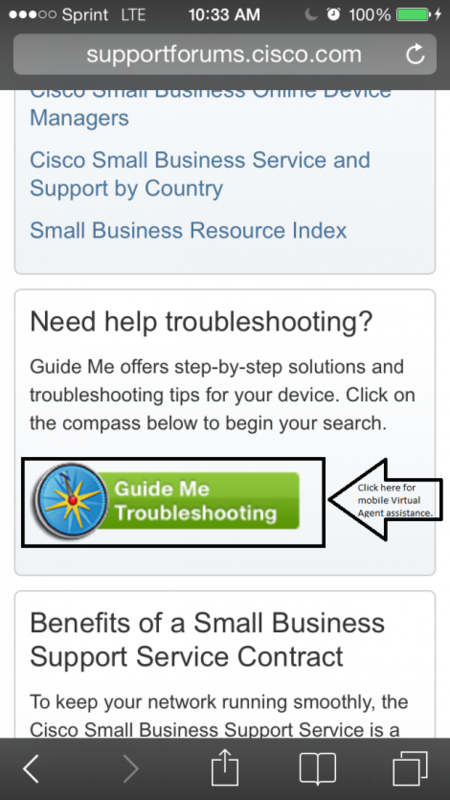 With the success of their web-based Virtual Assistant, noHold suggested developing a mobile-friendly version of Guide Me, to make support accessible for users on any device. What is the State of Your Mobile CRM Strategy? Summary: The mobile revolution has changed customer expectations. There is little doubt that the mobile revolution has changed consumer expectations. According to a recent study by Clickfox on mobile customer service, over 78% of consumers use mobile apps for customer service purposes such as billing, account status/updates and interactive chat. And the estimated 8 billion handheld devices in use over the next few years is nothing short of a clarion call for financial services, telecommunications, and other companies to stake their mobile CRM claim. That means that to stay on top, enterprises need to provide personalisation, accessibility, and superior service both on and offline to create a meaningful and cohesive customer experience. Read more about: What is the State of Your Mobile CRM Strategy? Summary: Creative Virtual and Forrester Research host successful webinar on Virtual Agent innovations. 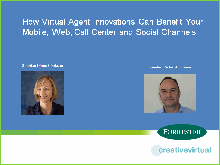 On 4th April 2012, Creative Virtual hosted an enlightening webinar with Forrester Research, How Virtual Agent Innovations Can Benefit Your Mobile, Web, Call Centre and Social Channels. The event was a huge success with a turnout of over 100 attendees from around the world. The event was hosted by Forrester Research analyst Diane Clarkson and Richard Simons, CEO of Creative Virtual USA. CodeBaby, a leading provider of Online Customer Experience solutions has announced its 3D virtual assistant technology is now available for the rapidly growing mobile device arena. 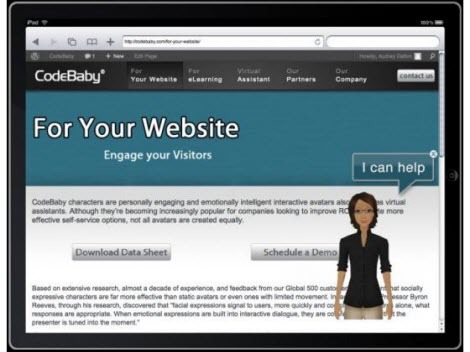 CodeBaby solutions drive increased website conversions while enhancing the online user experience in the consumer driven marketplace. 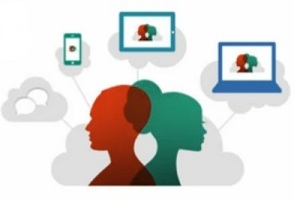 Registration has now opened for Creative Virtual’s next webinar with Forrester Research. 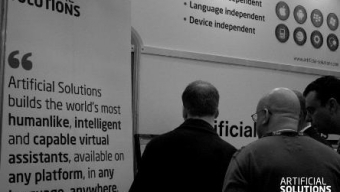 Artificial Solutions, the natural language interaction (NLI) specialist that enables users to have a meaningful, humanlike interaction with technology, today launched virtual assistants on any platform, in astonishing short timescales. 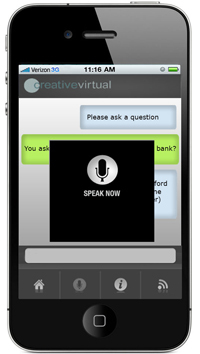 Summary: Creative Virtual has developed their mobile V-Person solution to meet the needs of clients and their customers.